It’s the final Polish Pickup for the year, and what a wonderful year this group has had. I’m really thrilled to be a part of it. December’s Polish Pickup will follow a slightly different format when it comes to shipping this time around. Instead of it being a preorder, all makers will be supplying a limited number of polishes which will ship immediately following the sale. I have a dozen beauties to show you! Let’s get to it! A new group, Indie Pickup*, has been created to house most of the extra non-polish items that came along with the explosive growth of Polish Pickup. IPU will follow the same chosen theme and its sale will begin two weeks after PPU’s. Check out The Indie Pickup website for more information. * There will be no Indie Pickup for December. 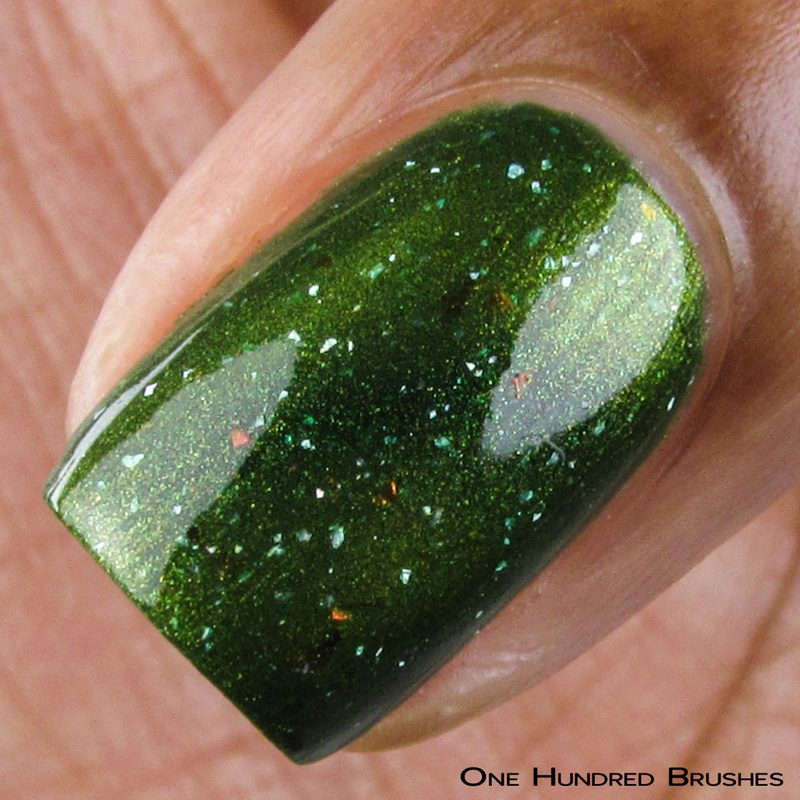 Call me on the nose but I find it very apropos to start things off with a green polish for the Enchanted Forest theme. We can thank Nene for this with her contribution of Enchanted Foliage. 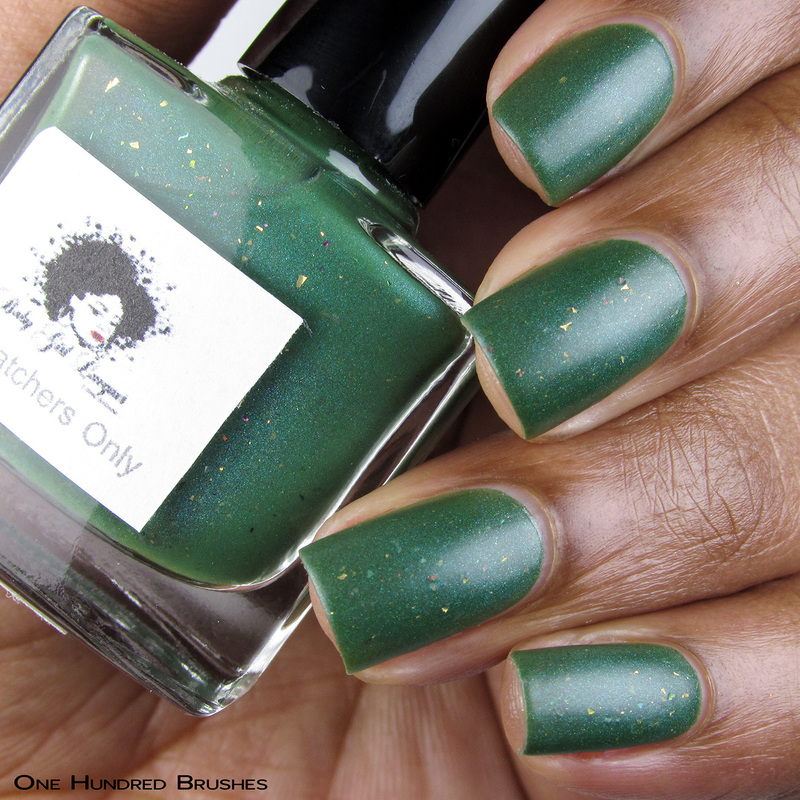 This gorgeous green has a matte evergreen base with a gentle sprinkling of mixed flakes. The polish has secret magnetic properties and is lightly scented. I think I smell green apple but don’t trust me on that. I’ve had a yucky cold for a few days now and I might be influenced by the color and hunger. 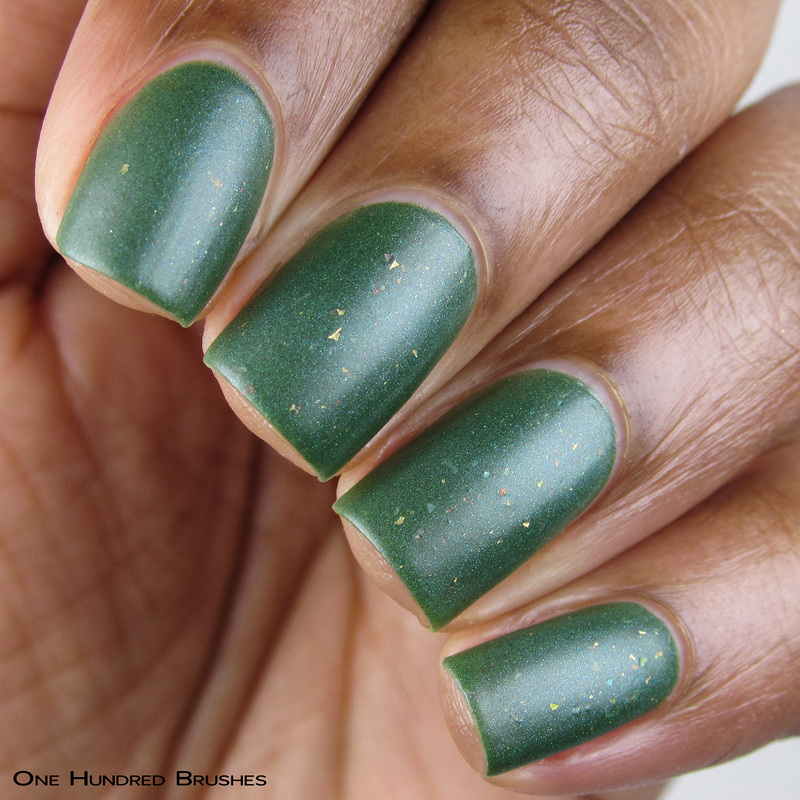 Enchanted Foliage is a bit sheer on first application but the formula, especially for a matte polish is great. The flakes aren’t plentiful but they add welcomed pops of color. Previously, I mentioned it being secretly magnetic. I was able to get a faint turquoise line after applying the magnet but it dissipated quickly after. I truly wish the magnetic pigment was stronger here as I really love what I saw. I’m wearing three thin coat and I’ve also shown it with a glossy topcoat. Every time I read the name Keebler Paradise, I automatically sing it to the tune of Almost Paradise…you’re welcome! 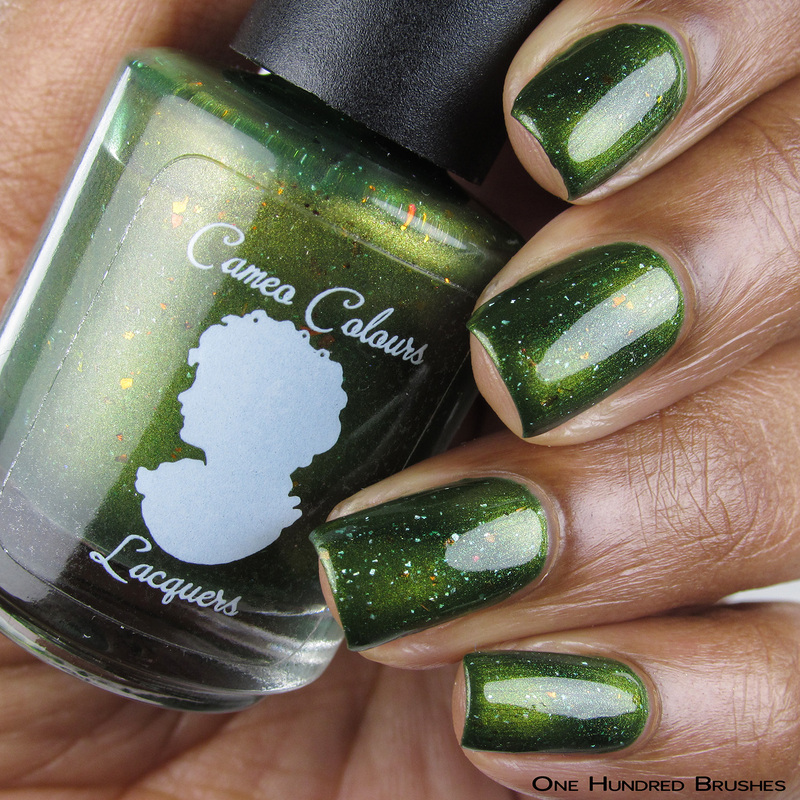 Cameo created a lush magnetic green here that is stunning in both states. 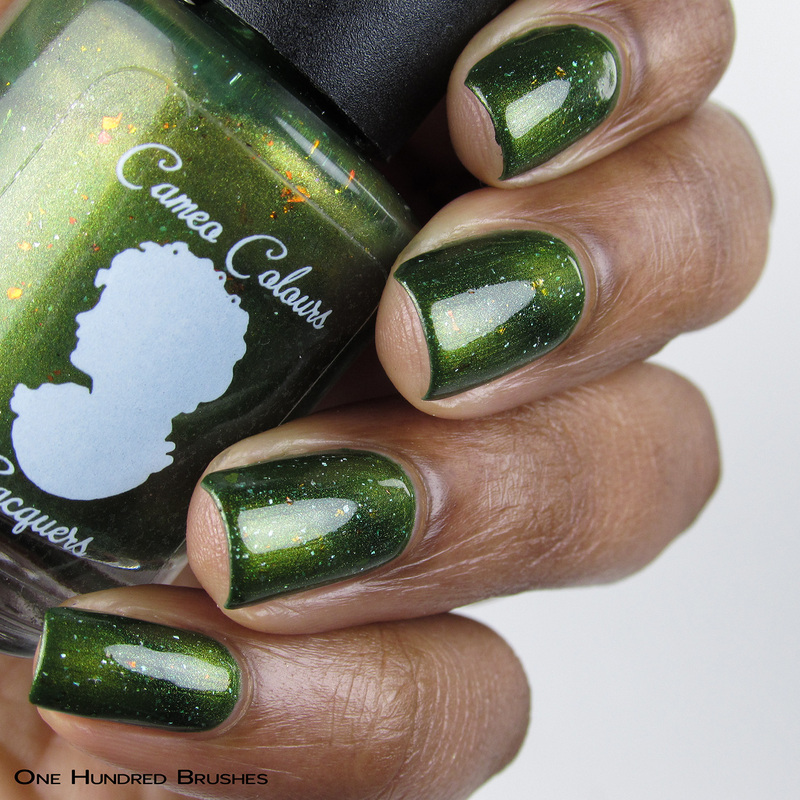 The base is deep mossy green, which when magnetized, a lively golden shimmer takes prominence. It also features silver holographic micro flakes and red to bronze copper ultra chrome flakes. The application is an easy medium and I used my arc magnet to get this effect. I’m wearing three coats as I do with all my magnetics then topped with a glossy topcoat. I’ve also added images without the magnetic effect for your viewing pleasure. Leah Ann is bringing the vamp with Road Less Travelled. 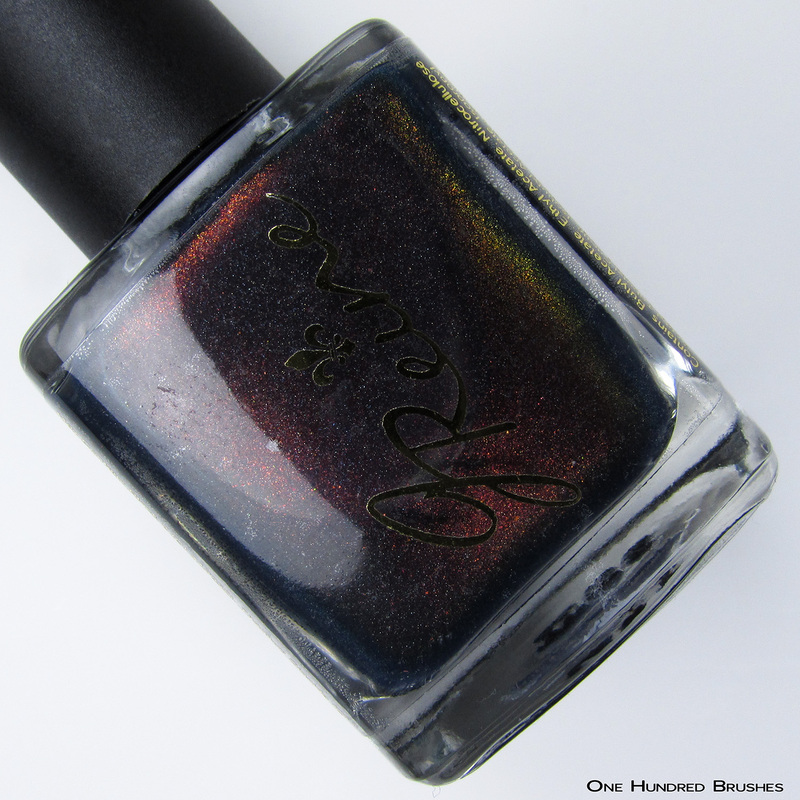 This is a vivid vampy burgundy red bases, packed with prismatic holographic flakes that shift green and gold. Also mixed is original unicorn pee pigment giving that undeniable warming glow. No complaints here with the formula; it applies easily and is richly pigmented. I’m wearing two coats with a glossy topcoat. Brazilian maker Dany chose the image of a bright and warm golden hued forest for the inspiration behind her shade this month. 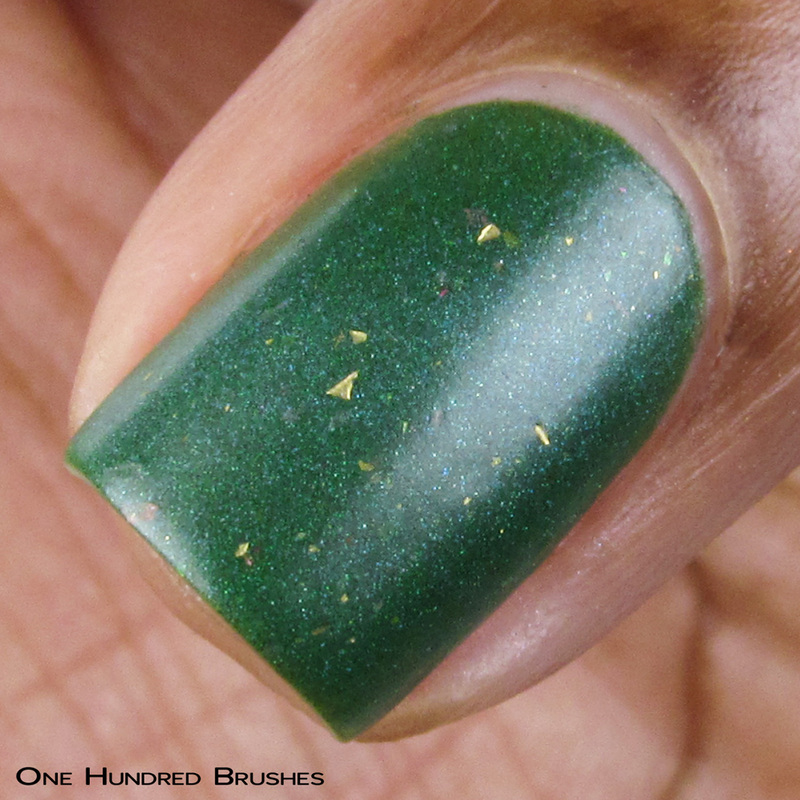 Forest of Gold starts with a warm yellow lightly holographic jelly base. Blended in is a mix of metallic gold flakes, multichrome gold flakes, galaxy gold glitters and gold holographic. Although it’s not as rich or dirty, this is hitting my love for mustards! I was surprised by how quickly this jelly grew to opacity; it’s beautifully pigmented yet allows for all the holographic shades to pop through. Let’s congratulate Femme Fatale on the release of their first magnetic polish, Amanita! Something about this polish really resonated with me and I quickly fell in love. 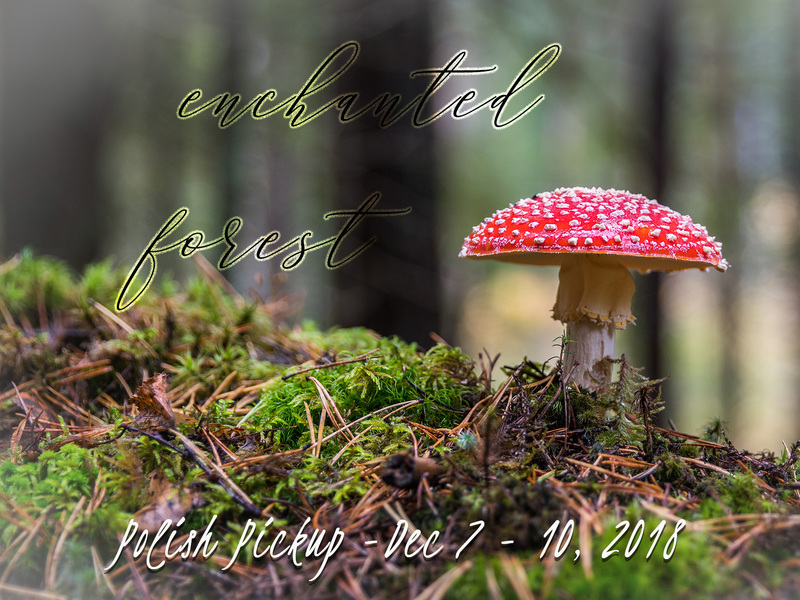 Amanita has an inky blue jelly base with a mix of red iridescent flakes, red aurora shifting pigment, and a stunning green magnetic shift. I’ll state that I had some difficulty capturing a defined magnetic green on this polish. Maybe we can chalk this up to user error as I noticed other swatchers managed well with theirs. Despite this, I fell hard for the peculiarity of Amanita. It has so much going on and I enjoy seeing the mix of warm colors wrapped in that tinge blue. I’m wearing three coats with a glossy topcoat. Mariah’s take on the theme invites the Truffula Trees from Dr. Suess’ The Lorax to take center stage. I quite like her subdued yet dazzling take on the colorful trees. I Speak For The Trees starts off in a brilliant white crelly base to which four varieties of colorways of iridescent flakes. In addition to this, there’s a shifty aurora shimmer that goes from orange to gold to green and holographic microflakes. Yes, there’s a lot going on in here and it comes together nicely. 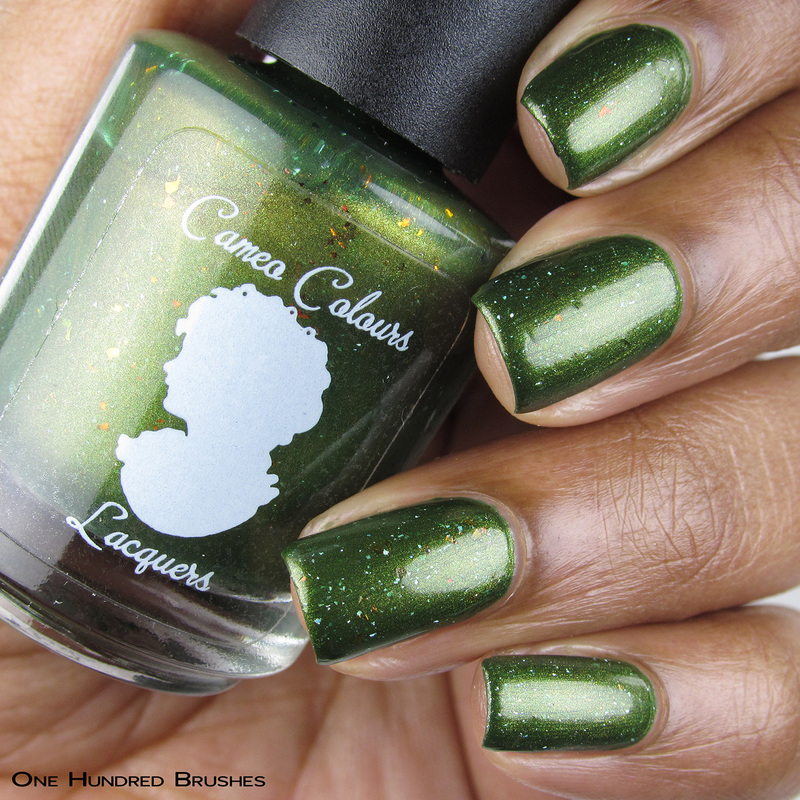 The formula goes slightly past medium but the polish applies with ease and levels well. 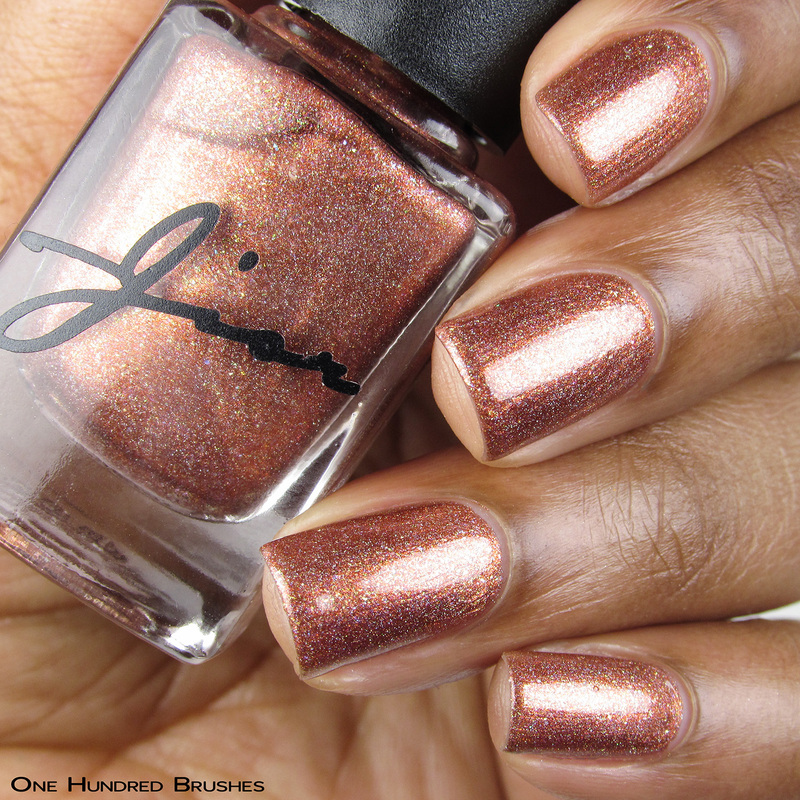 The pops of color break up the overall cool tone of the polish while the shimmer adds a gentle spot of warmth. I’m wearing three thin coats with a glossy topcoat. Sacha relied on her own rich cultural history to inspire her contribution this round. If the name Bwa Kayiman sounds french to you, well, it’s because it is! Haitian French Creole to be exact. I like to make the distinction because I speak a St Lucian French Creole which bears similarity to but not exactly the same as the Haitian. Nevertheless, I’ve found that if we speak slowly enough, we understand each other! Bwa Kayiman is a warm holographic multichrome which shifts from red to orange to copper and a smattering of Aurora pigment that shifts from blue to green. The formula holds to what I expect from Sacha; it’s easy to work with and is well pigmented. I’m wearing two coats with a glossy topcoat. Bwa Kayiman is the forest site of the voodoo ceremony in which the first major slave insurrection of the Haitian revolution was planned. Jill is bringing it once again with a super shifty number. Initiate heart eyes! Mysikal Mayhem is a rich teal leaning blue multichrome with the warmth of shimmer that moves from red to gold to green. Additionally, there’s some aurora pigment as well as some linear holographic effect. 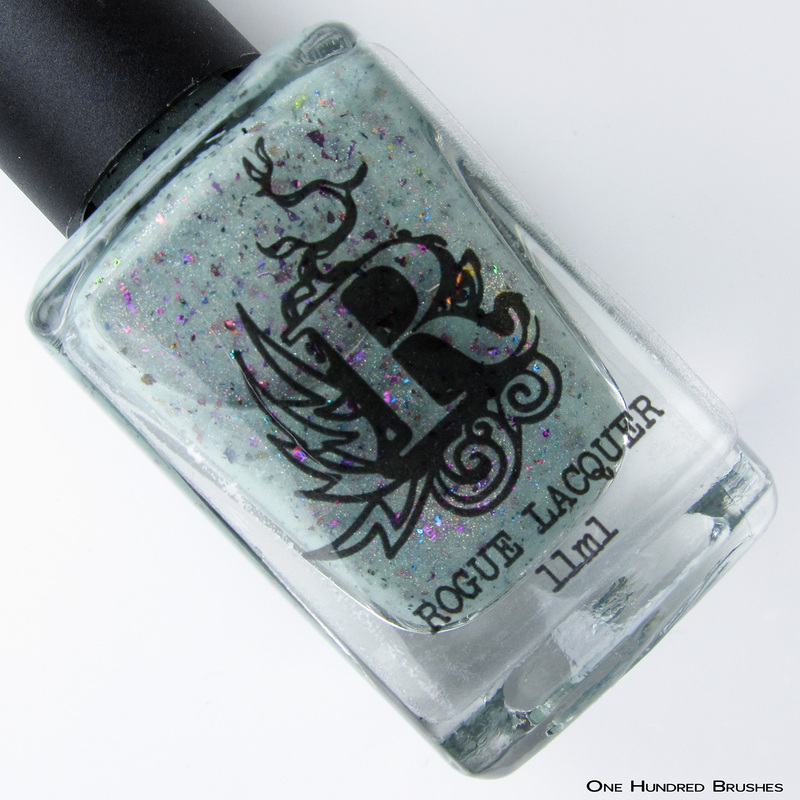 This polish is so freakin shifty, I don’t even know where to look. It moves swiftly between both vampy and cool personalities. The formula here is fantastic; smooth and buttery. I’m wearing two coats with a glossy topcoat. Lexi settled on a fantastical image which she seemed to capture effortlessly. 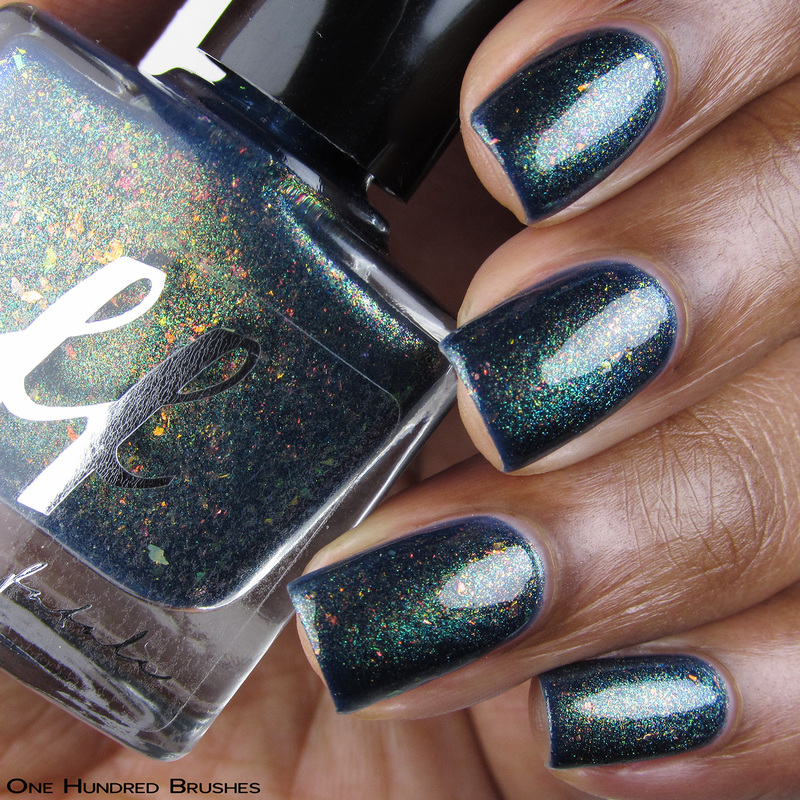 Whimsical Wanderlust has a stunning oxford blue jelly base to which a rainbow of ultra chrome color-shifting flakies, silver holographic galaxy glitters, and a scattering of holographic pigments was added. It’s so sparkly and just begs a pond mani! Whimsical Wanderlust is highly pigmented yet translucent enough to allow the flakes and glitters to take center stage. I’m wearing two coats with a glossy topcoat. Rachel drew inspiration from the image of a whimsical woody dreamscape for her contribution this round. On A Whim has a mix of scattered holographic elements and Ultra Chameleon Chrome flakes that move from magenta, purple to cyan all in a cool mint base. The flakes in here are endless and behave well in the base. I’m wearing two coats with a glossy topcoat. The Will-o-the-wisps offered their guidance to Stefanie this round and I’m glad she followed. Foolish Fire is a deep periwinkle crelly with a mix of flakes in shifty blue-purple and blue illusion. Also blended in are peridot green metallic micro flecks and a complementary blue to purple shifting aurora duochrome blend. The formula here has a bit of that syrupy feel similar to that of a jelly which allows all the shifty elements to shine through. I’m wearing three thin coats with a glossy topcoat. Kirsten took a closer look at the forest for her inspiration this round. This came in the form of a pretty iridescent beetle. She simply nailed in adaptation here! Beetle Juice is a dusty rose jelly base with an intense green to purple iridescent shimmer. It’s so easy to wear and stun! I’m wearing three thin coats with a glossy topcoat. This is a wonderful mix of color and finishes; something here for everyone! 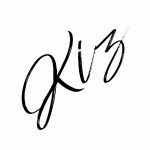 Be sure to check out other bloggers to see what else you can add to your wish list. 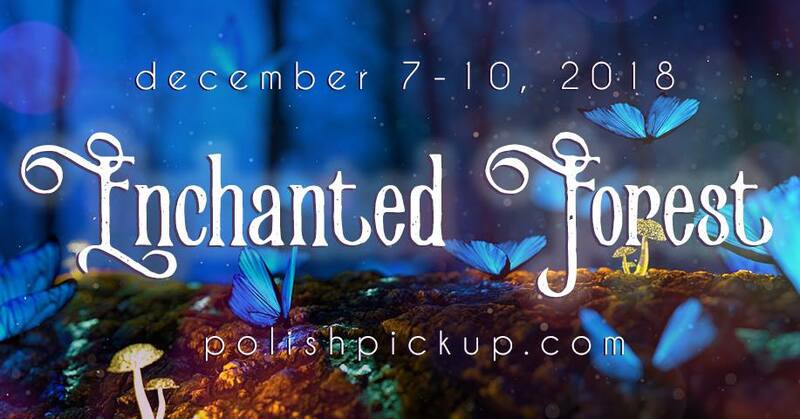 Make sure you’re part of the Facebook Group and you’ve built your wishlist on the Polish Pickup site. 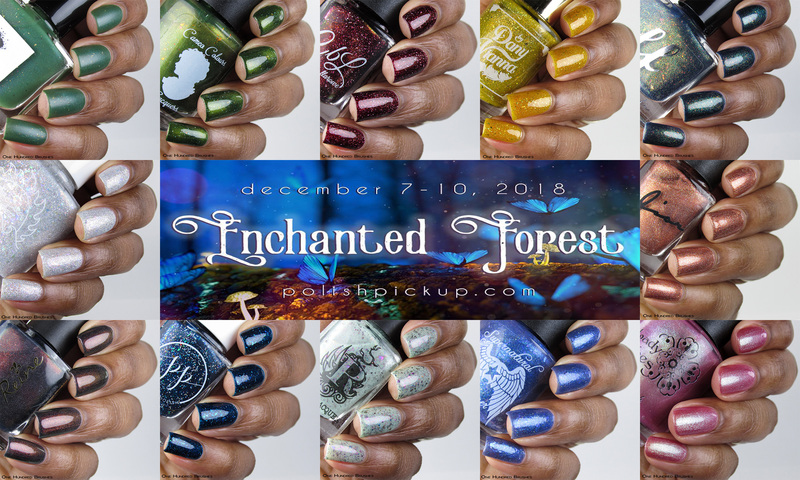 For a live show and swatch of the polishes available this round of Polish Pickup, don’t miss Delanie of Fat Cat Pawlished‘s live events on Facebook! Don’t forget all items are on preorder this round and they will all be in limited supply. Also, there will be no Indie Pickup for December. 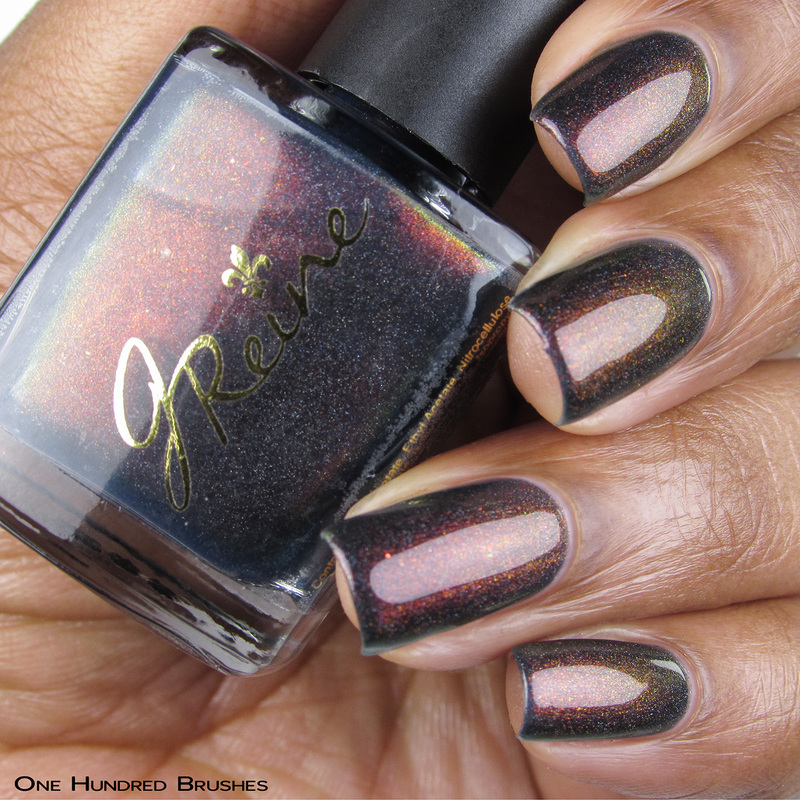 I was waffling on two of these – JReine and The Lady Varnishes – but you’ve got me convinced, thank you!